Powerstar Pawan Kalyan was last seen in the Sankranthi release Agnyaathavaasi which happened to be his milestone silver jubilee flick directed by his Jalsa and Attarintiki Daaredhi director Trivikram Srinivas, and however, despite humongous hype, the movie became a colossal disaster. While the movie's huge openings yet again reasserted Pawan's box office stamina, Powerstar still chose not to continue further with acting, and went on to concentrate on his political moves, and had been on membership management and political strategy making for Janasena. 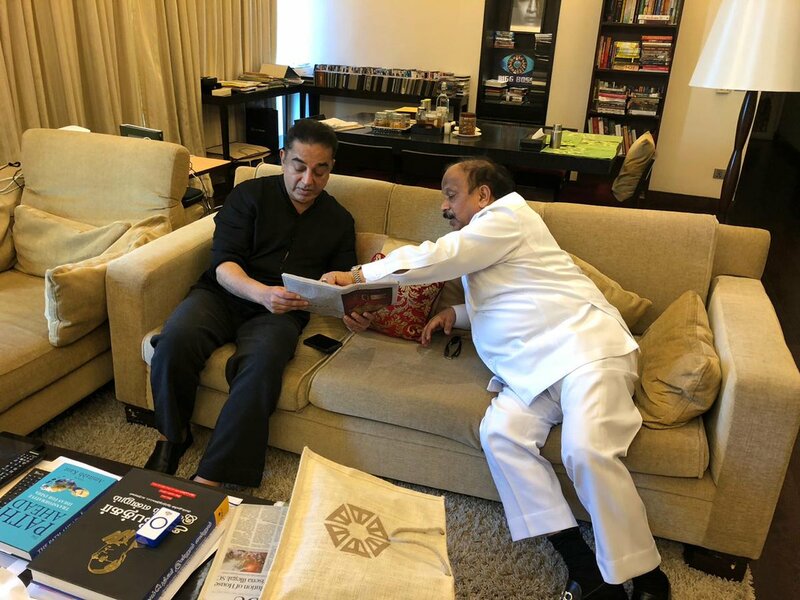 Recently, Pawan Kalyan will be making a visit to Chennai, to meet the leader of Makkal Needhi Maiam political party, Ulaganayagan Kamal Haasan, to discuss on political cooperation and plans, as the two parties have been planning to contest elections in the Lok Sabha elections next year. Now, some sources reveal that Pawan might feature in 'Bharateeyudu 2' in a crucial portion. He will be seen as Janasena party leader itself. The movie features Kajal as the female lead.